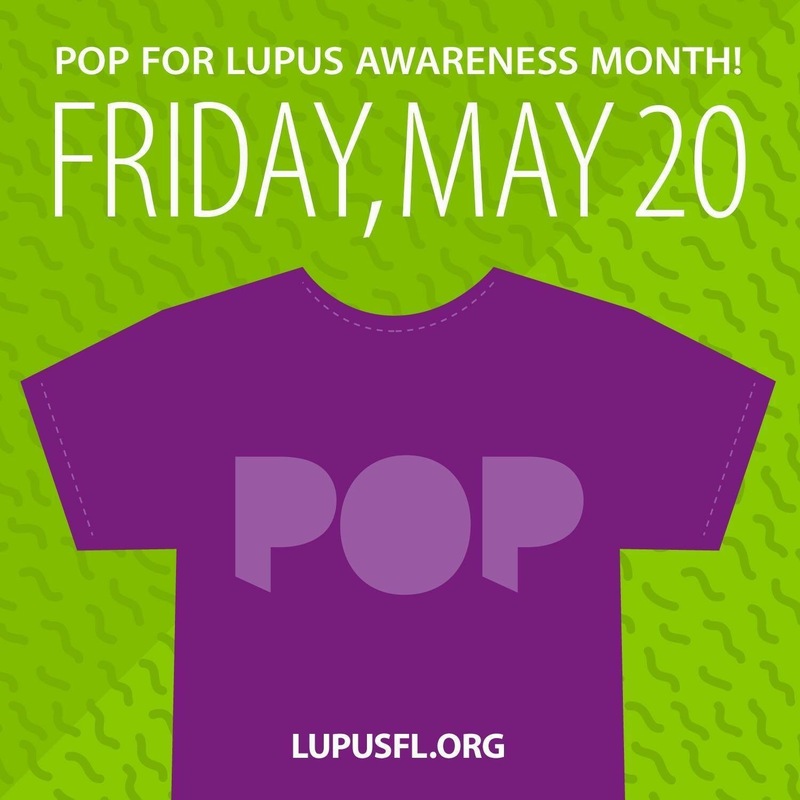 Tomorrow is POP (Put on Purple) day!!! 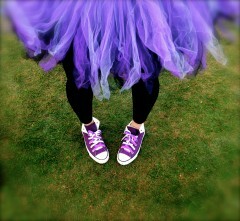 In honor of Lupus Awareness Month I will be rocking my Purple! Be sure to send me any pictures you may have! It is not always easy to hold your head up in the middle of a storm For many reasons it’s easier to look down. The only reason I look down is because it is the path of least resistance. When you are in the center of a storm, the last thing you want to do is answer questions. To answer questions or cater to anyone else’s emotions, do they not see you are in need of your own TLC? So to me it has always been easier to keep trucking. Often times people take not holding one’s head up as a sign of an insecurity. I often wonder if these people ever stop to think, maybe we just don’t want to talk to you it has nothing to do with insecurities. I quite frankly am very secure in who I am. Keeping my head low has nothing to do with who I am or how I feel about myself. SO, on with today’s lesson. I spoke to someone I haven’t seen since I was around 7 years old. He was a good friend of the family and he told me today that whatever I do to keep my head up. You would think I had never hear this before, for heaven sakes I give this advice all of the time. Today, it was a little different. Today it hit me differently. I was hearing this message from someone I had not seen in over 20 years but someone that I considered family regardless of the distance. He told me ” Life is going to throw you things and with each passing decade it will throw you more difficulties, but it is up to you to hold your head up through the storm”. It may not sound as profound as it was but it was one of those moments where I took stock of everything around me for fear of forgetting that moment. Maybe it was profound because it was advice not given to me by just anyone. Maybe it was profound because it wasn’t someone just shooting from the hip and giving me advice that didn’t know me from a hole in the wall. Either way it was profound. In that moment I took stock. I realized I have been in serious self preservation mode for nearly 6 months and probably longer. My current woes are no more serious or important than the next person. Self preservation is not bad, but when you allow self preservation to be all you live well that is no longer healthy. So today I looked up for the first time. I realized I was not looking people in the eye’s any more, today I did. I realized that although I am in the middle of what is one of the toughest years of my life, that I need to look up and hold my head high. Realistically, how else would I see the beauty ahead? Happiness can be found, even in the darkest of times, if only one remembers to turn on the light! I love personalization… Anything with my personal touch or something sentimental has my vote! Today, I received the most beautiful wrist bling. When I was first diagnosed, I felt like I was alone in the world on the never ending roller coaster ride filled of doctors visits and symptoms. The last 3 years have been filled with some of the most amazing moments… Today was one of them. Last year I joined instagram and it I learned quickly the power of social media. I now never feel alone! I have a family constructed of the most beautiful and caring people in the world. In my lows I have sunshine and support, in my highs I have support and a team that would rival the olympic team. Now, one of my beautiful Lupus Sisters makes some bling. I have seen so many of my other beautiful family members get her bling. I finally decided to jump in… and I am so excited and happy with the results. From the first moment of interaction about the bracelet her customer service was impeccable. Foxxy took her time to explain the process in detail and took the time to ask in depth questions to get the concept of what I was looking to do. She asked questions, made suggestions, and allowed me to make a change before she sent the finished product. 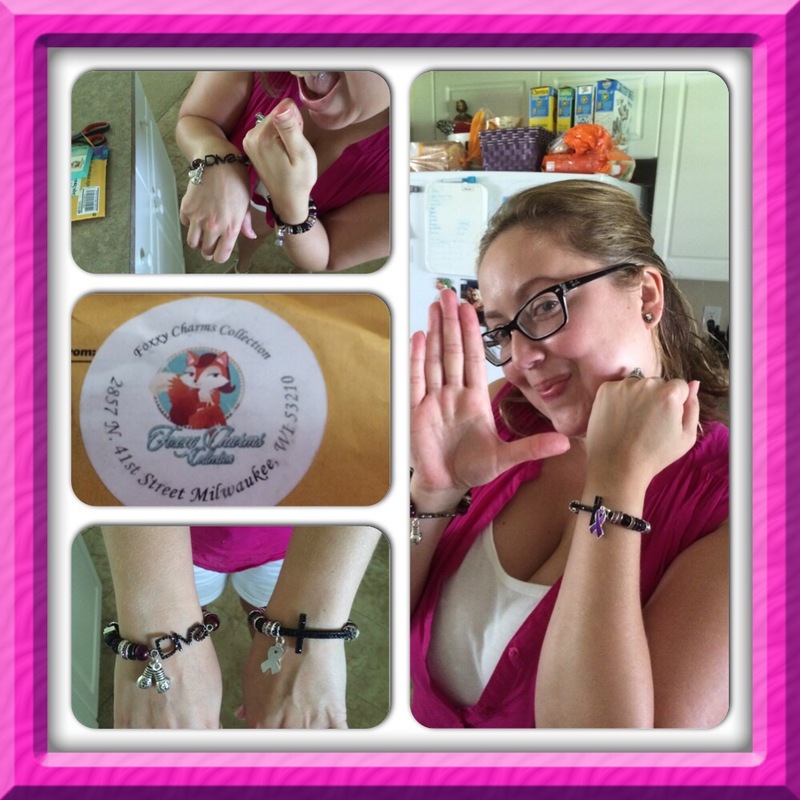 So I say, if you are looking for impeccable customer service, personalized bling, and quality product made with love… I recommend http://foxxycharms.bigcartel.com. Thank you Foxxy for my beautiful bling. I think I just found a great idea for christmas! 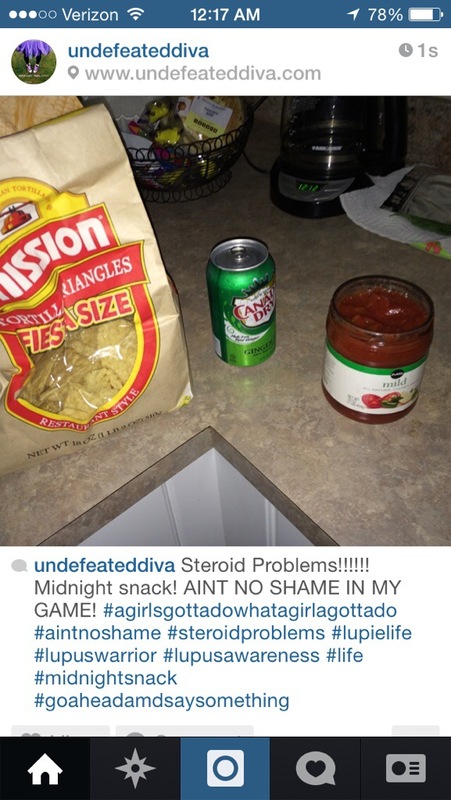 Thought I would take a moment to share with all of you, the Shinanigans going on in my Instagram/Facebook world. An original made out of anger! I present to you…. My future t-shirt for Team Undefeated Divas! I have decided to trademark it for the future use of Lupus Awareness! 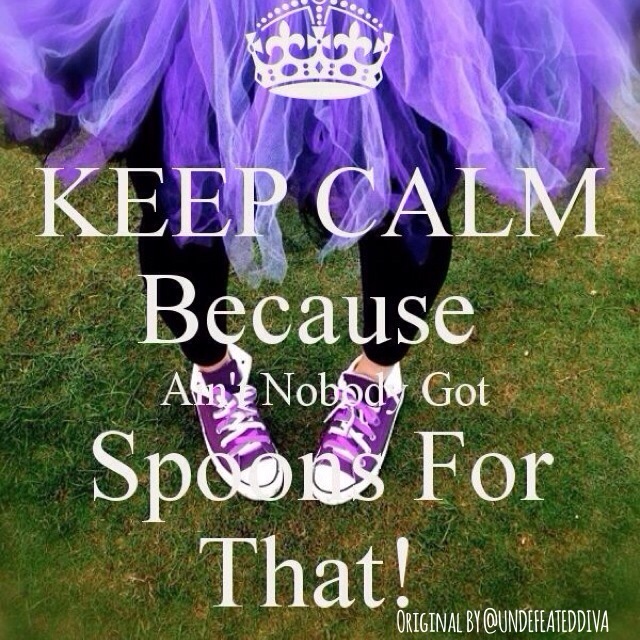 I present… AINT NOBODY GOT SPOONS FOR THAT! Have to admit, this hysterical creation was manifested out of a heated moment. 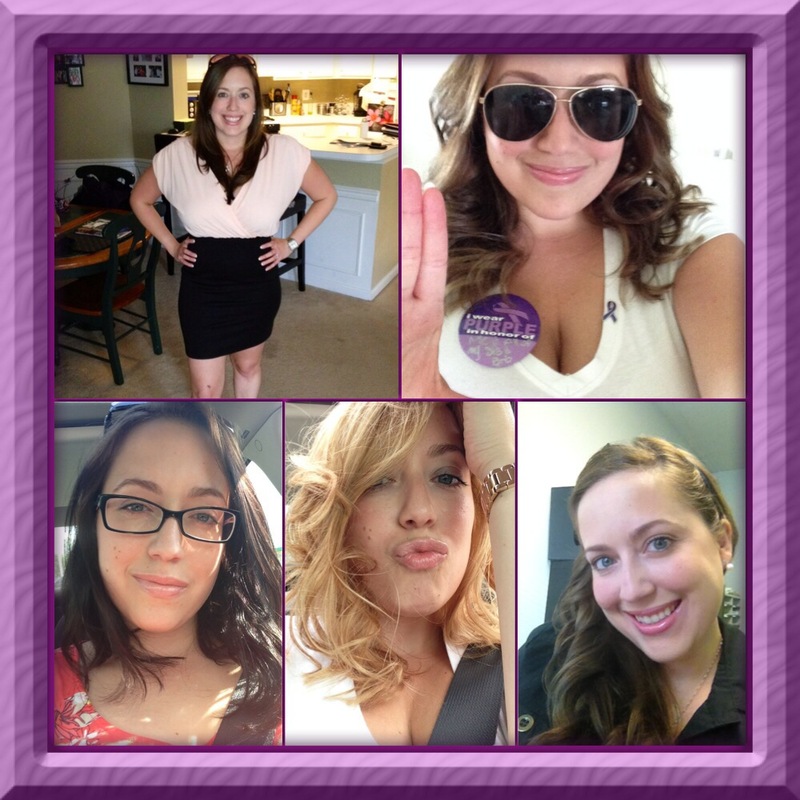 I was feeling very overwhelmed by what I call a “lupus moment” and I yelled…. Shut up, AIN’T NO BODY GOT SPOONS FOR THAT RIGHT NOW!!!! In the moment I was angry and very serious… but all it took was 30 seconds to realize what I said and burst out in immense laughter. It seems that all of my best creations are created out of madness :). So here you go.